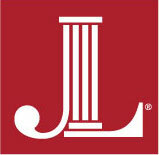 In 2002, the Junior League of Birmingham established an endowment to sustain, expand and initiate JLB programs in the future. Today, we have $1.9 million in the fund. The principal continues in perpetuity and JLB uses a portion of the annual earnings from the portfolio to support our services and programs. To help raise the corpus, the JLB had a three-year Endowment Campaign. Upon completion of the campaign, we officially changed our name to the Generations Fund, as we hope our members will help the future generations to come. The Generations Fund initiated the first Decade Club to the 2007 provisional class. The Decade Club is a program for members who would like to support the future of the JLB by contributing $100 each year of active service to the community (for a total of $1,000 over 10 years). They are recognized by the provisional class year they joined, and they are invited to annual event with the JLB President and Executive Board. To donate to the Generations Fund click here. Purpose: The purpose of the Junior League of Birmingham Generations Fund is to perpetuate our mission to promote voluntarism, develop the potential of women, and improve the community through action and leadership of trained volunteers. Goal: $2 million dollars is the long-term goal of the Generations Fund. Currently, the Generations Fund is valued at approximately $1.9 million. Oversight: The Junior League of Birmingham Investment Committee is responsible for the oversight of the endowment. The Investment Committee includes two community members, seven active League members, and three sustaining League members. Time Frame: The initial kickoff of the Endowment Fund campaign spanned three years (2003-2006). The League continues to raise funds in support of the Generations Fund on an ongoing basis through the Decade Club, honorariums/memorials, and planned gifts. Income Disbursement: Upon approval by the Investment Committee, a portion of the earnings from the Generations Fund may be available each year to help meet the needs of the League and benefit its programs, projects, membership, training, administration, and facility requirements. Fund Management: The League has established the Junior League of Birmingham Investment Commitee to oversee the management of the Generations Fund. Investment Strategy: The investment strategy of the Generations Fund is to preserve principal, to ensure sufficient liquidity to promptly meet demands of the Junior League of Birmingham’s cash flow needs, to ensure high credit quality and marketability of investments, to protect the purchasing power of the funds against deterioration caused by inflation, to provide prompt investment of cash gifts, and to maximize investment yield consistent with these objectives. The Junior League of Birmingham, Alabama, Inc. is an organization of approximately 2,300 women committed to promoting voluntarism, developing the potential of women, and improving the community through the effective action and leadership of trained volunteers. The JLB is proudly affiliated with AJLI, the Association of Junior Leagues International, Inc. AJLI’s purpose is to add value to its 291 member Leagues in their fulfillment of The Junior League Mission. Your generous support of the JLB helps us continue to address some our area’s most critical issues with the community projects we provide that target four main impact areas: education, health, financial stability, and safety and crisis. Junior League of Birmingham, Inc.